We are grateful that you count on us as a travel companion and guide in your supply management journey. We wish you a joyous and peaceful holiday, and we look forward to reaching new heights with you in 2019! The days in 2018 are few, but CAPS Research is far from winding down. We're releasing a research report today: Data Analytics Teams and Procurement - Who and What. It's designed to inform and equip you in your own digital evolution. All the details are below. In a recent Snapshots survey, 25% of companies reported that they currently use Amazon for Business. Of that group, 41% say they're using Amazon for Business to shrink their tail spend and are seeing positive results. Complete a survey, get helpful metrics in return: Surveys are for both members and non-members. We love your data, and in exchange, everyone who completes a survey receives a complimentary copy of its metric report. That said, CAPS members get extra love: breakout reports and custom survey opportunities. Sign up here to participate. Procurement leaders are turning to data analytics teams to help them leverage the wealth of data available and meet business goals, but what skills should the team have? This research investigates assembling, structuring, retaining, and supporting the team. It examines how data analytics can facilitate procurement practices related to spend analysis, contract management, market intelligence, and supply chain risk. Check out a 3-minute video on our Data Analytics Teams and Procurement - Who and What report, in the library now. Watch the preview video now or learn more about recent CAPS research studies. 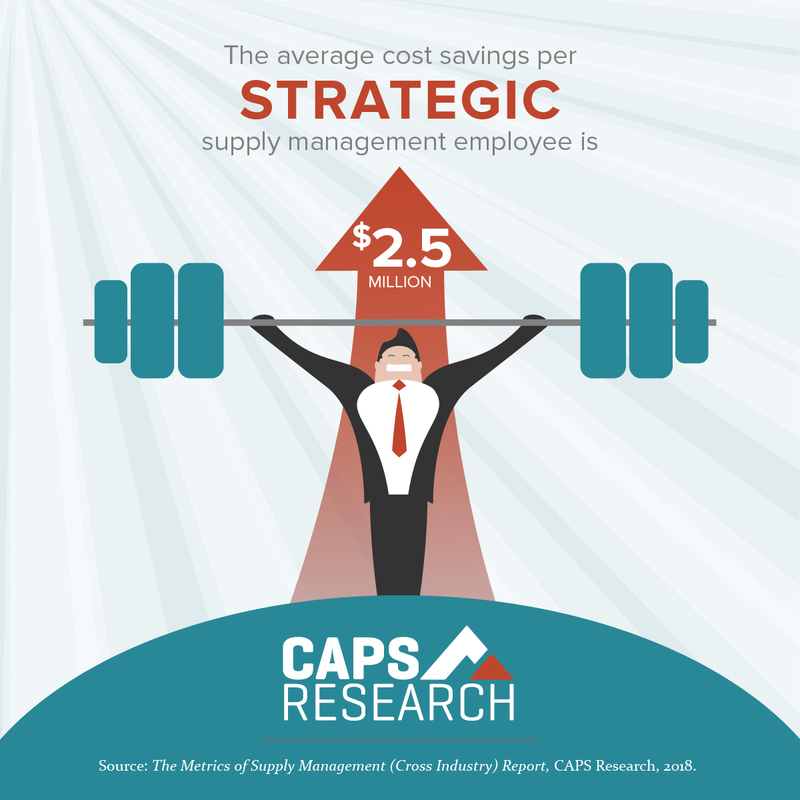 Follow us on social media (links below) or visit our collection of CAPS infographics on procurement and supply management research and benchmarking findings. If you like them, feel free to share! Top researcher: Our Executive Director of Research and ASU W. P. Carey School of Business Professor Thomas Choi was recently recognized for exceptional research performance, in the top 1% of researchers for most cited documents in Economics & Business. CAPS Research welcomes DTE Energy for another year of membership!